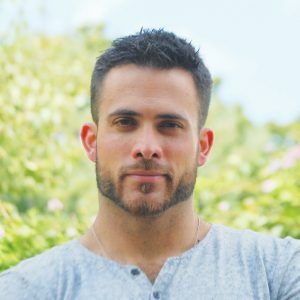 David has been the Director of Health and Wellness for the Center since 2014, extending a health-and-fitness industry career that has included strength coaching, personal training and fitness management. Before returning to HIS NATIVE Brooklyn, David was Spa and Fitness Director at Corte Bella Country Club, a high-end property in Phoenix. At the Center, David oversees the Fitness Center, Group Fitness, Aquatics, Health Spa, and Athletic and League programs. David is also the co-founder of Human Startup, a personal branding consulting practice that drives clients to land their dream jobs. He holds a Bachelor’s degree in journalism from Brooklyn College and enjoys hiking, camping and weightlifting. Skydiving is next on his agenda.